Google is generating a lot of buzz with the audience impatiently awaiting a new Nexus smartphone. There's no clear indication of how the phone will look like, how much it will cost, and what the specs will be. Rumor mills, however, are filled with purported specs, pricing, screenshots, and even release dates of the new phone. So, we decided to do a roundup of some of the most famous rumors and yes, we're also going to discuss about the things we expect of this flagship smartphone from Google. * New Android version. From Key Lime Pie to KitKat. Rumors about Google's new smartphone have been circulating for months. Earlier, people expected them to announce a new OS called Key Lime Pie with the new phone. However, the search giant announced recently that it would be partnering with Nestle KitKat for this release. And yes, quelling those old rumors of an Android 5.0 device, Google has decided to call this OS release as Android 4.4. 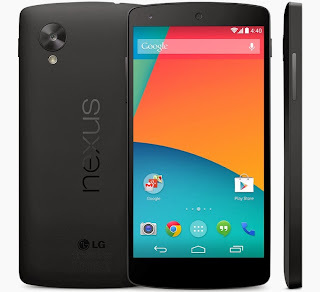 Many rumors have suggested that the Nexus 5 will be priced around $300 for the 8GB model and $350 for the 16GB one. However, some rumors suggest that the 16GB model might be priced at $300. We'll have to find that out. 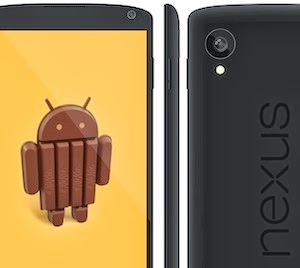 Many sources are suggesting that Google might release the Nexus 5 a few days from now. However, there has been no such announcement from Google and thus, many believe that Google might release this phone without much fanfare. We, at TechSource, highly doubt this rumor. Vic Gundotra had posted this in February on Google Plus: "We are committed to making Nexus phones insanely great cameras. Just you wait and see," If rumors are to be believed, Google might be partnering with Nikon to make a mind blowing camera phone that might make iPhone junkies jealous. Other rumors hint at a 13 Mega Pixel Camera. This is one of the most believable rumors of the list. 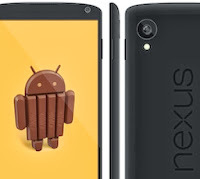 It's highly probable that Google will launch the Nexus 5 with a 5-inch display. * 2 GB RAM and a Snapdragon Processor. Many rumors have suggested that the Nexus 5 might come with a 2.3 GHz Snapdragon processor and 2GB RAM. Those are, when compared to competitors, amazing specs for a phone that runs vanilla Android. Many sources suggest that the Nexus 5 will sport a 3300 mAh battery. This will give it enough juice to run high-quality applications all day. We have a lot of expectations from this smartphone. Since it is made by Google, we expect some high quality specs thrown in here. One of the best things about Nexus devices is that they're carefully crafted so as to work seamlessly with the hardware. Unlike Samsung devices, which have a rather plasticky feel to them, a Nexus device seems like a solid, well-built phone. We expect the same build quality to continue with this release. Since it's a Nexus phone, we expect some of the best specs in the phone industry. Nexus 4 was a stellar device with amazing specs at a low price. We expect similar and better things from Nexus 5. Also, Nexus 5 has to be something that I can brag about to not only my iPhone-loving friends but also my Samsung-crazy buddies. We're counting on you, Google. 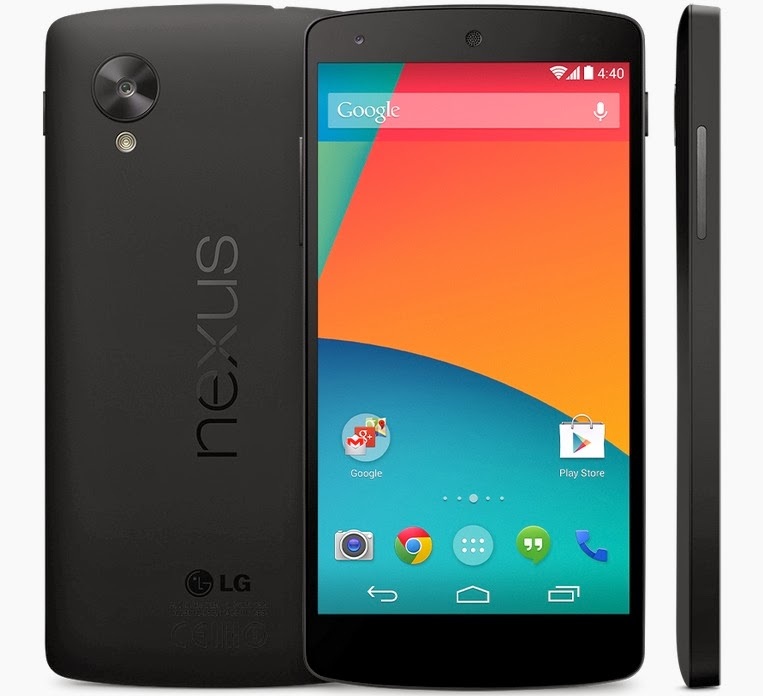 Nexus devices are known for their affordable prices. We want this one to be priced as low as $300 so that everyone can afford it. The Note 3 has set the standards high with a whoppingly huge battery. Nexus 5, hopefully, will provide something on the same lines. Overall, we expect the battery life good enough to last a whole day. The Nexus 4's camera was disappointing. And yes, Google knows that. We expect Google to pull up their socks and work hard on making this an awesome smartphone experience.